Price Shadow EA is a fully automated Expert Advisor. The EA is a medium-term scalper. Check our professional forex robots! Speedster EA is a fully automated expert advisor. No required technical or fundamental analysis. The EA opens and closes all of trades. That manages all of processes. The strategy based of OBOS levels at both of short and medium timeframes in the same time. That uses 2 indicators and moving averages to calculate the price. Eliminator EA is a professional and fully automated scalper. Easy to use, proved strategy many years and just focused on GBPCAD. This EA uses some calculated price and time actions with 6 indicators' confirmations. No need for unnecessary EA parameters. The EA sets everything automatically. Wildcat EURJPY is a high level scalper at safe norms. Easy to use, proved strategy many years and just focused on EURJPY. This EA uses some calculated price and time actions with indicators confirmations. Secret Scalper PRO is pro version of Secret Scalper. The EA is a medium-term scalper. If you would like a safe and high quality forex robot, check our new robot. Challenger EA is a fully automated Expert Advisor. The EA is a medium-term scalper. Our EA has been created to work confidentially. So, it can close orders with actual account currency value at profit or loss. Also works with stop loss. The EA's strategy has been improved to make reasonable and low-medium risk profit. But, you can also increase your risk, although we do not recommend doing that. Combined SCCC is an all in one Expert Advisor. The EA combined 4 expert advisors. Our EA has been created to work confidentially. So, it can close orders with actual account currency value at profit or loss. Also works with stop loss. The EA's strategies have been improved to make reasonable and low-medium risk profit. But, you can also increase your risk, although we do not recommend doing that. - What is difference between traditional averager system and our EAs' system? 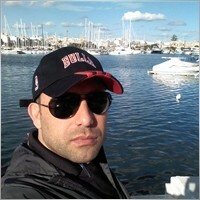 - Averager Systems opens orders according to pips distance or equity value. But, Our EA's difference is that our ea opens orders if a trade opportunity occurs and reaches pips distance. This provides more success and less DD% on trades. Test "Cougar Scalper" robot. Strategy and Recovery System together! Cougar Scalper is a fully automated expert advisor. That is a medium-term trend scalper. Our Medium-Term Trend Scalper Robot "Cybernetics EA" published today! This EA has new generation averager. Cybernetics EA is a fully automated Expert Advisor. That is a medium-term trend follower. Our new MT4 Robot "Secret Scalper EA" published. Make money even while sleeping! 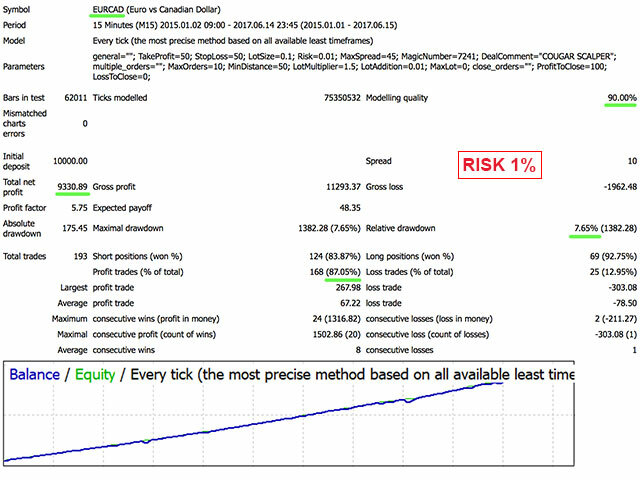 Secret Scalper EA is a fully automated Expert Advisor. The EA is a medium-term scalper. Bossy Price Alert PRO is an advanced price alert indicator. That allows you to set 10 different price alerts. Professional traders specify price levels and wait for them. This is intelligent trade system. You can also create a price barrier by setting UP and DOWN price levels. So, you can wait for a breakout wisely. This indicator makes all of your plans automated cheaply.